Starting Monday, Oct. 1, a new law will require drivers to move over for transportation, service and utility vehicles, as well as waste and recycling trucks. WASHINGTON — Maryland drivers take note: the state is expanding its “Move Over” law next week. Under the current law, only emergency response and law enforcement vehicles, as well as tow trucks are protected. The law applies to drivers who are approaching one of the protected vehicles from the rear in an adjacent lane. It requires drivers to move to a non-adjacent lane if the vehicle is stopped on the side of the road with their red, yellow or amber lights flashing. If there is too much traffic to move over safely, drivers are expected to at least slow down significantly. 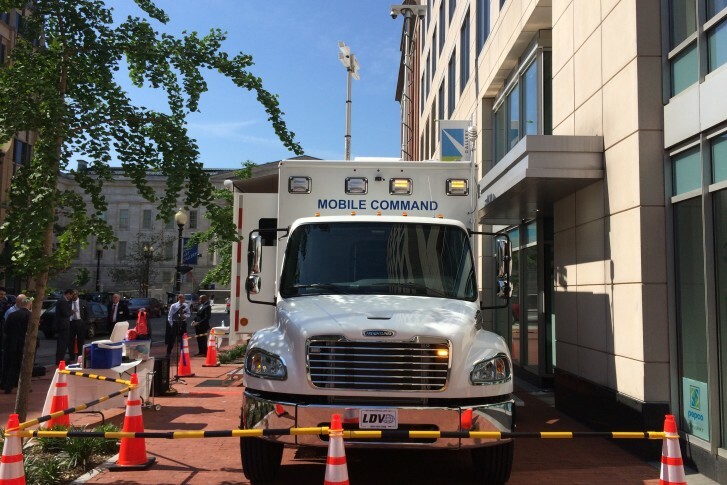 “We recognize the importance of having service truck drivers included in ‘Move Over’ laws, since they face the same dangers as first responders and tow truck operators when conducting business on the side of our roadways,” said AAA mid-Atlantic spokeswoman Ragina Cooper Averella. A first offense in Maryland might cost drivers $110 and a point on their driver’s license, although the penalties could be more severe if the offense leads to a crash. There have been tragic incidents involving Maryland State Highway Administration workers. Eddie Gilyard was killed in November 2013 while working on the shoulder of I-695 near Belair Road in Baltimore County. Rick Moser was struck and killed along an I-270 ramp in 2007. In Howard County, contractor Erick Meekins was killed in June 2013 while setting up cones on Route 216 near Route 29.